When it comes to eye primers, I think it’s safe to say every makeup lover knows they’re something you cannot leave out if you want to have your eye shadow stay put all day. Urban Decay primer potion has become a makeup icon and staple. Even though it is one of the more expensive primers, it’s not the only eye shadow primer out there. 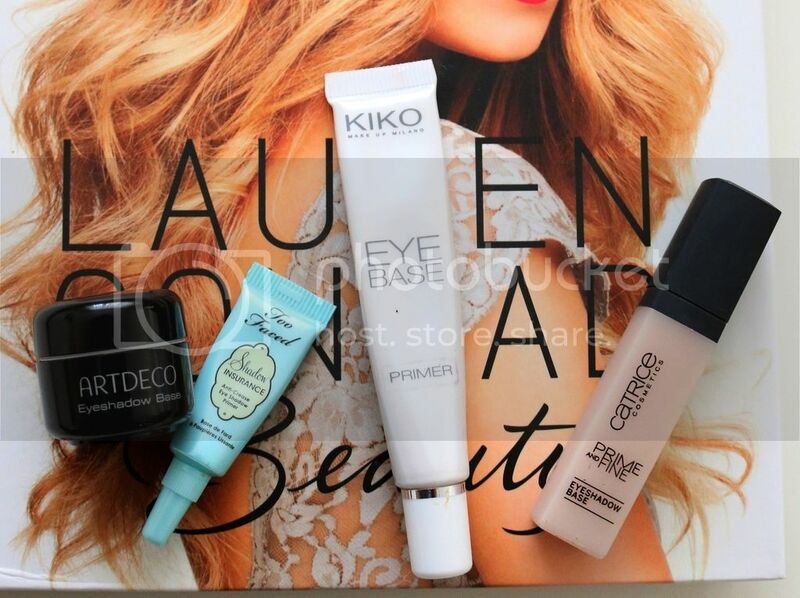 Want to know my thoughts and some of my favorite primers? Keep on reading! My all time favorite primer and, coincidentally the first one I ever bought, is the Artdeco primer. It comes in a black sleek pot – the only thing I don’t really like about it. I’d prefer if it came in a squeeze container. It is flesh colored and has a very beautiful sheen to it and stays put once it has dried on the lid. It costs 9€ and you can get it at Douglas. The Too Faced primer came in a set and is therefore in a travel size. I have to say it’s not one of my favorite ones out there. I don’t feel it makes my eye shadow look more vibrant nor makes it stay put any longer. It has since changed packaging and costs around 20€. A bit too pricey for what it delivers. Kiko’s Eye Base primer was something I bought once my beloved Artdeco ran out and I wanted to try something else. It does its job and also comes in a “pearly” finish. I don’t feel that it makes the shadows look brighter, but they do last about 6h/8h without creasing. 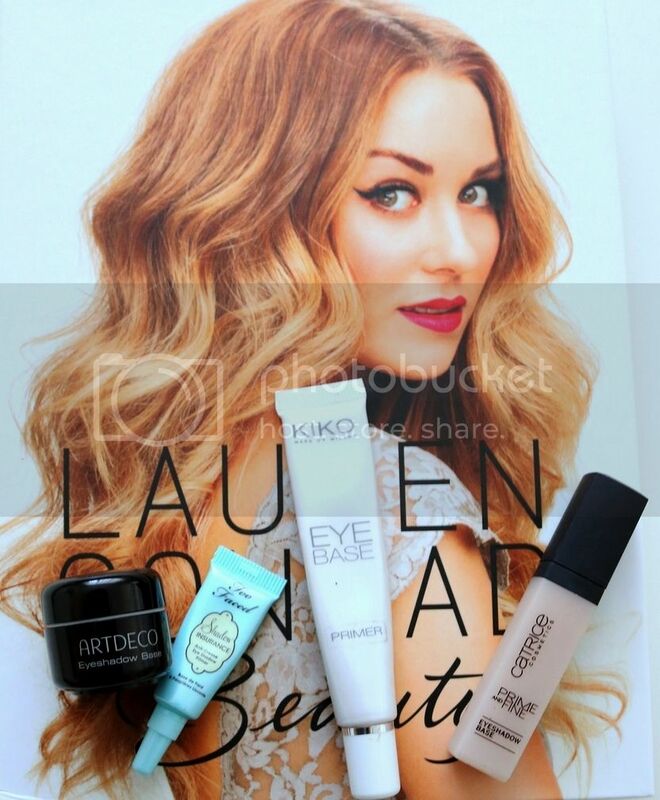 It costs 6.90€ at Kiko or their online store. Last, but not least, the Catrice Prime and Fine Eyeshadow Base. It isn’t bad, considering you pay 3.50€. It cannot be compared to the Artdeco or the Urban Decay one, but it’s not bad either. I would put it up there with the Kiko primer. I always use a primer when I use eye shadows. You can have the best eye shadow there is, but without a good base, chances are that it won’t last all day and will most likely crease later in the day. As you see, there are many options, whatever is the amount you’re up to spending – there’s one for you! Let me know which is your favorite eye shadow primer? I’m always on the look for new good makeup! Leave me a comment with your answer!